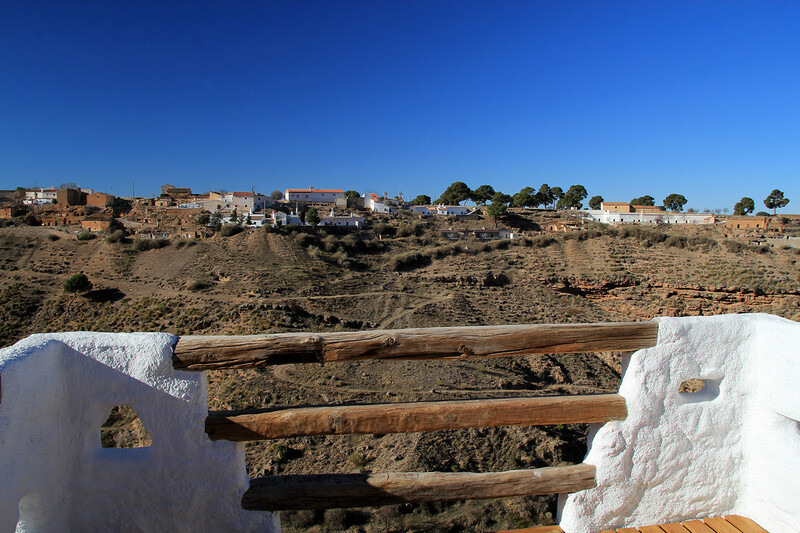 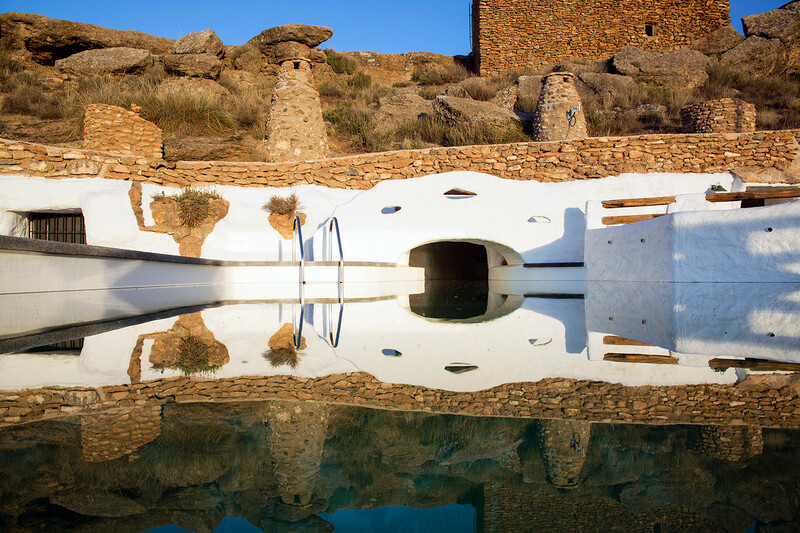 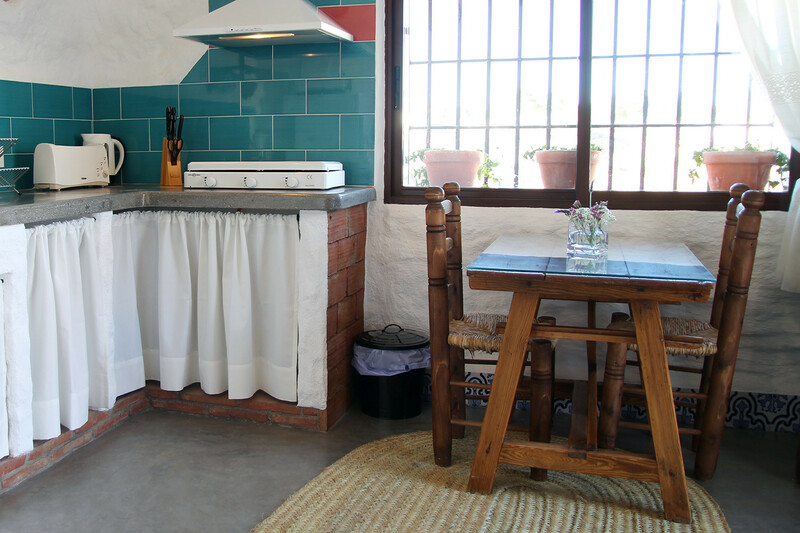 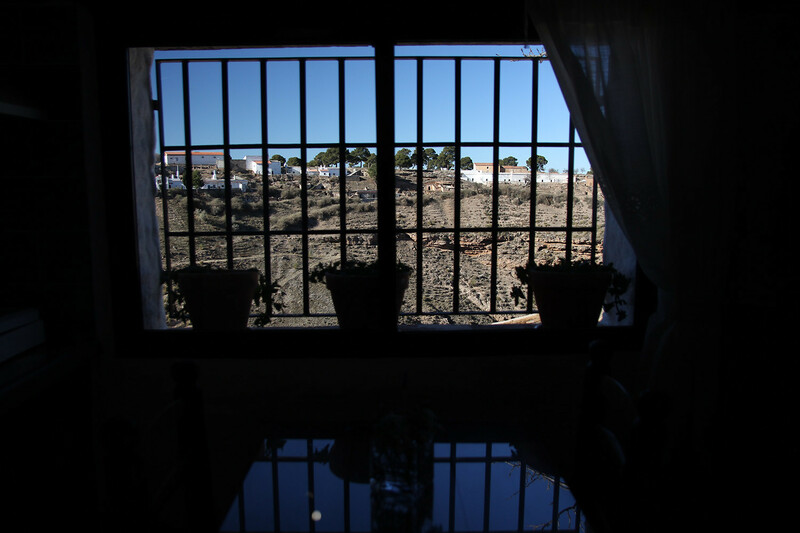 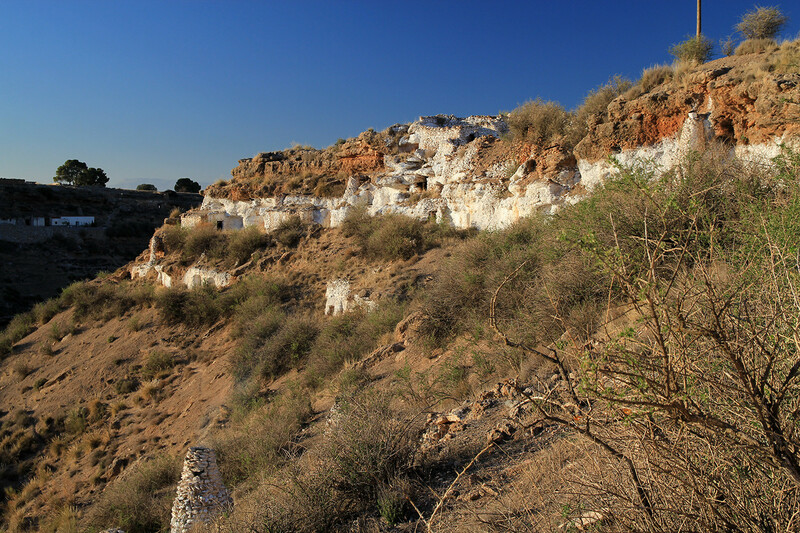 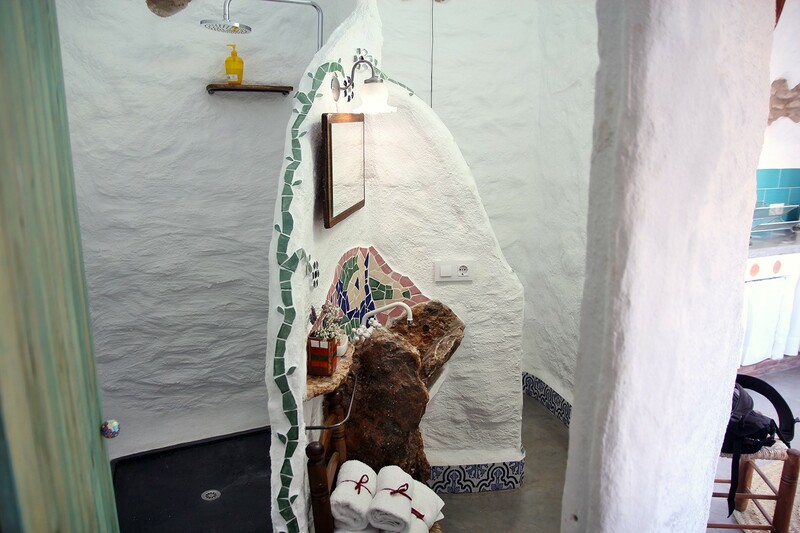 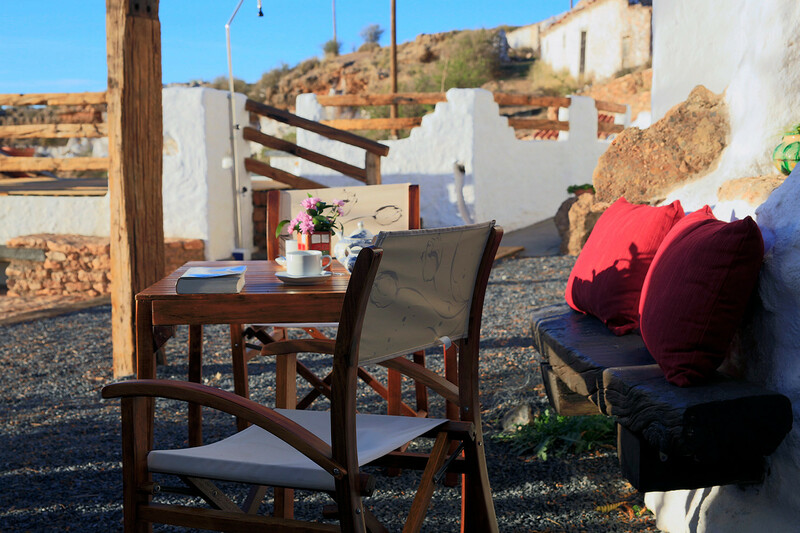 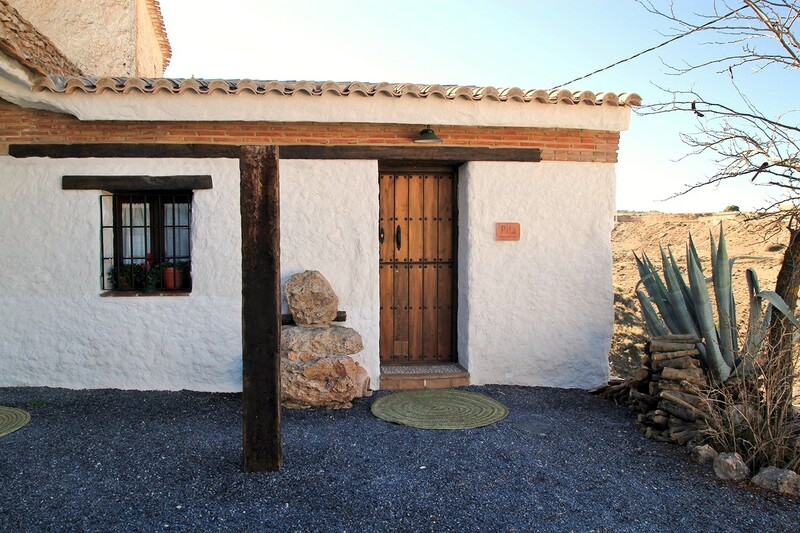 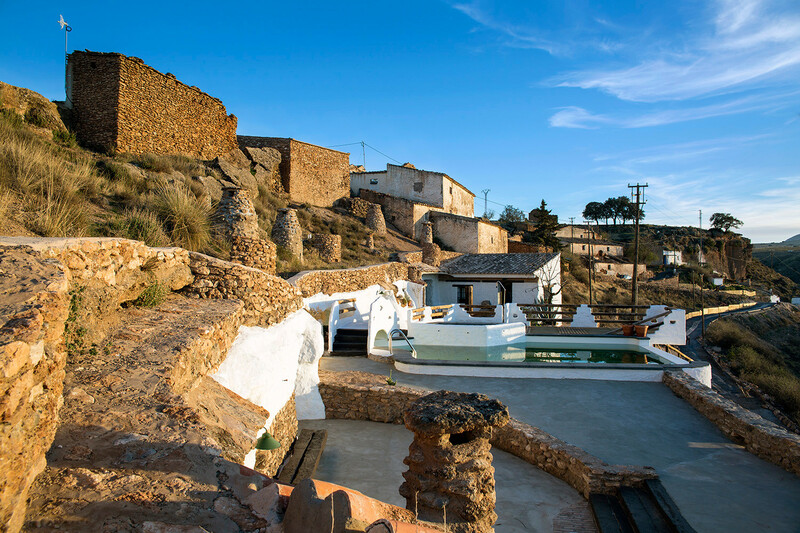 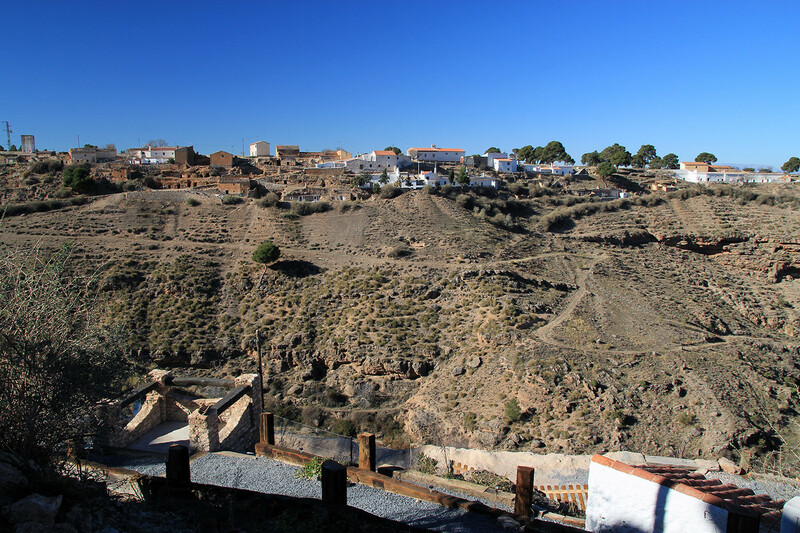 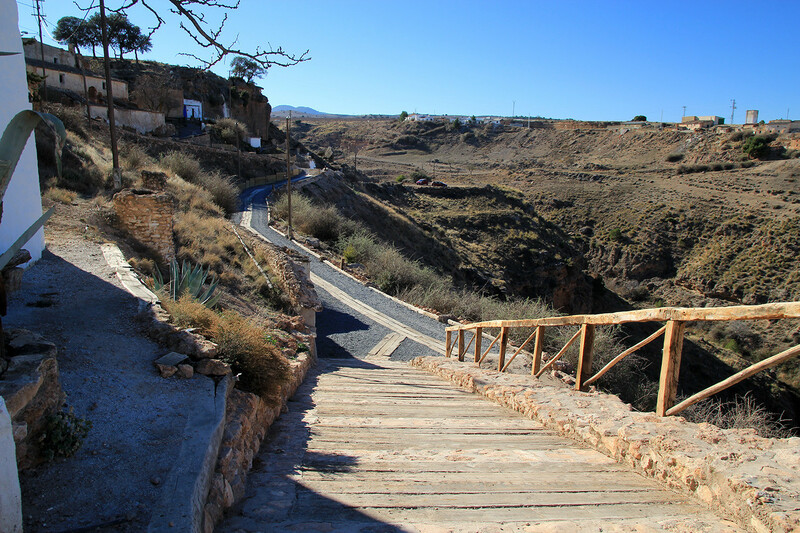 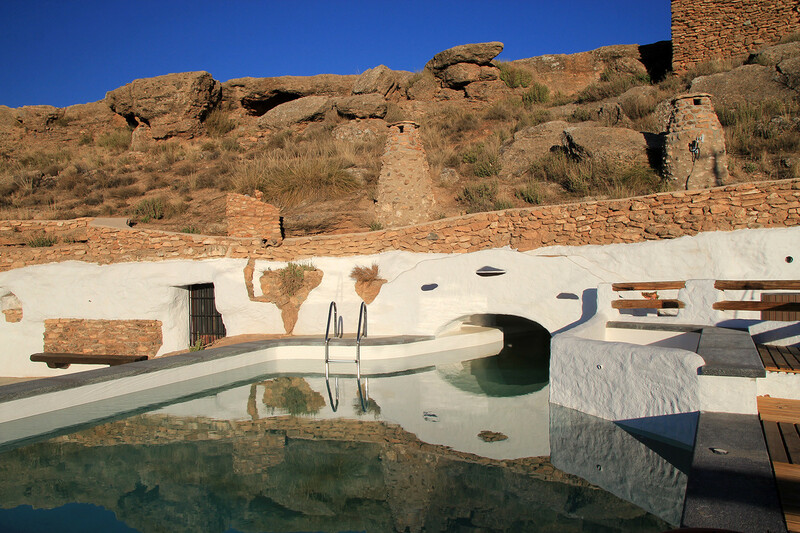 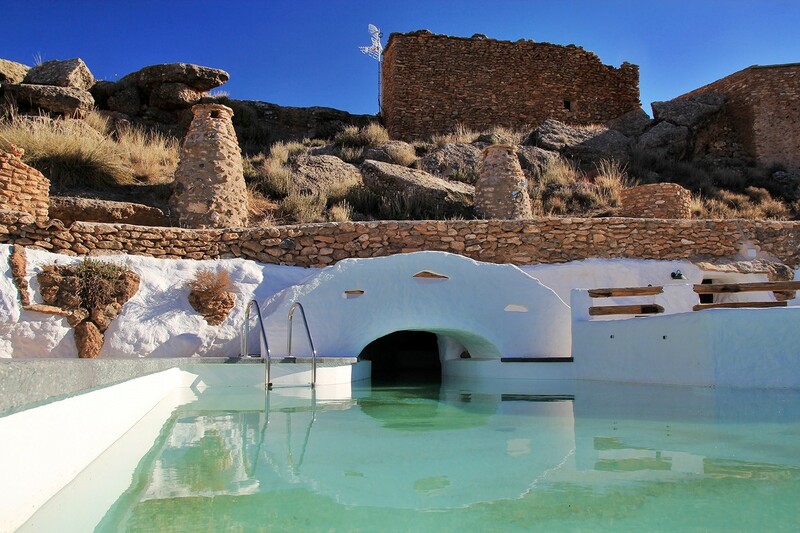 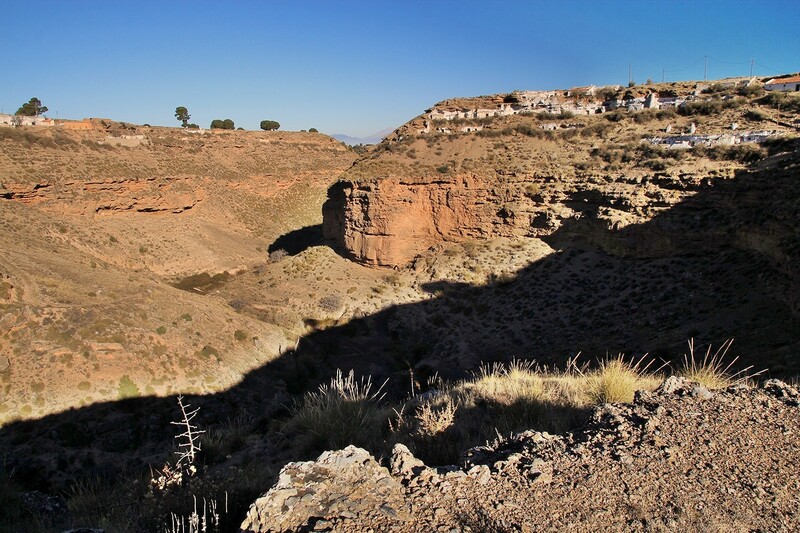 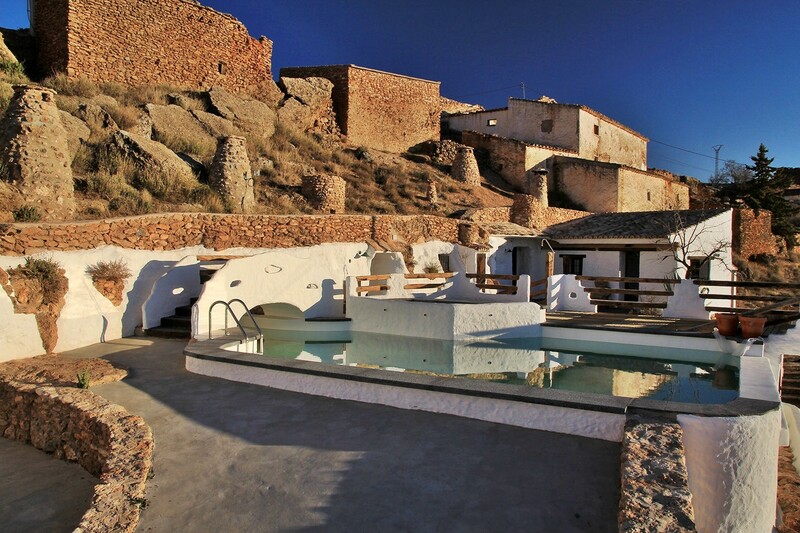 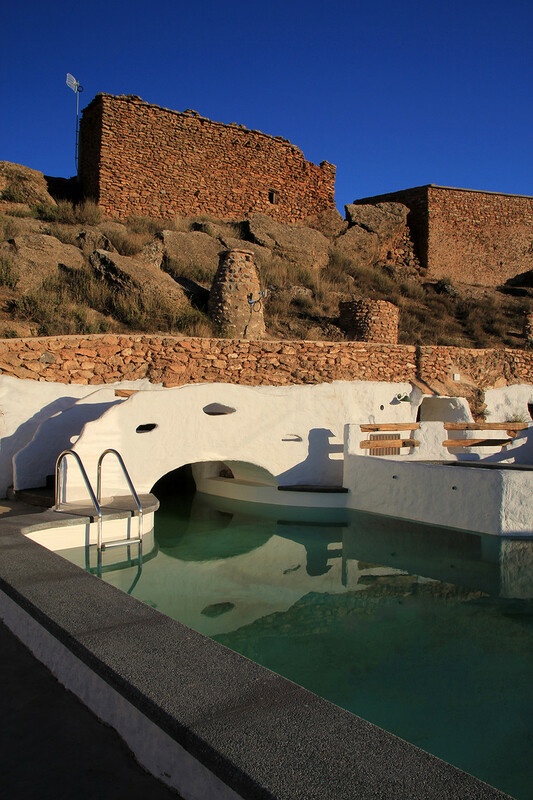 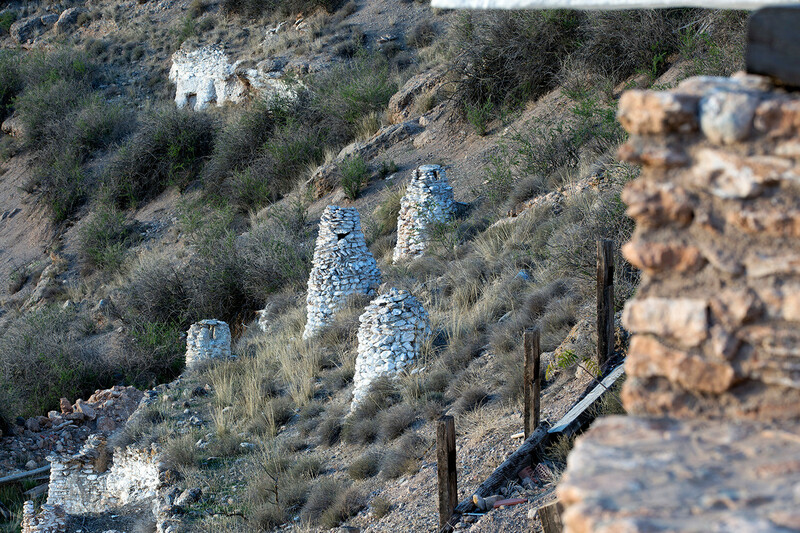 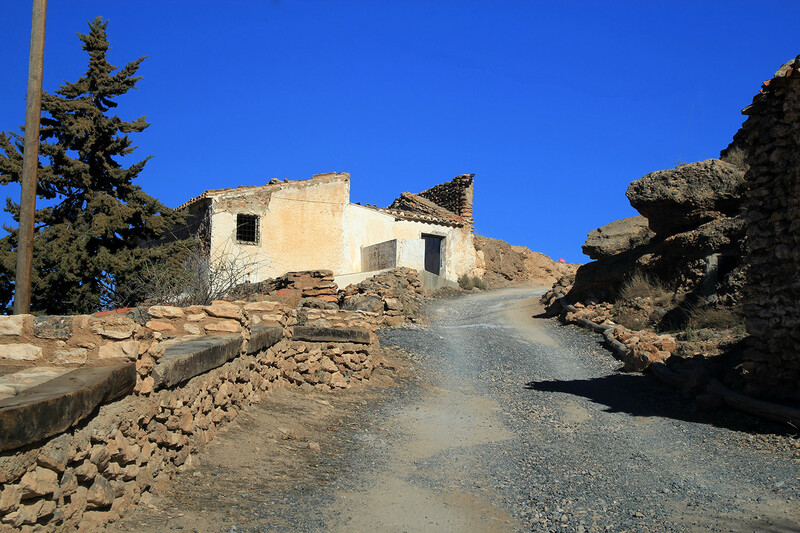 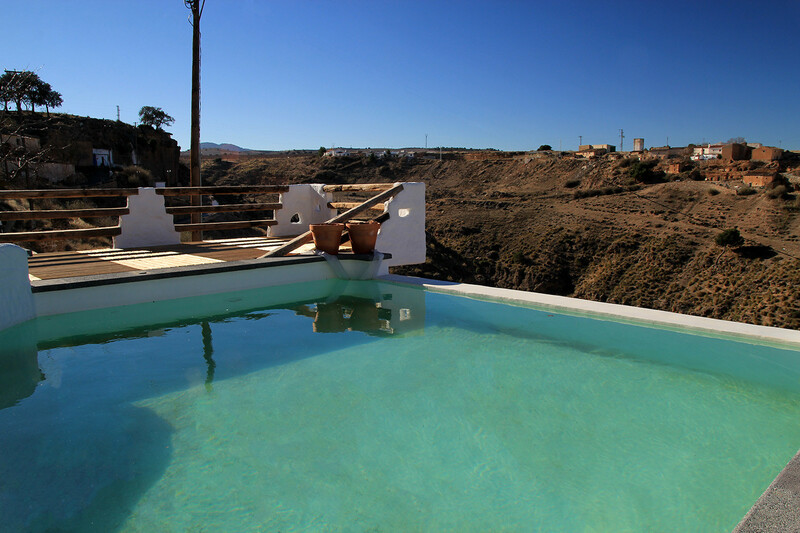 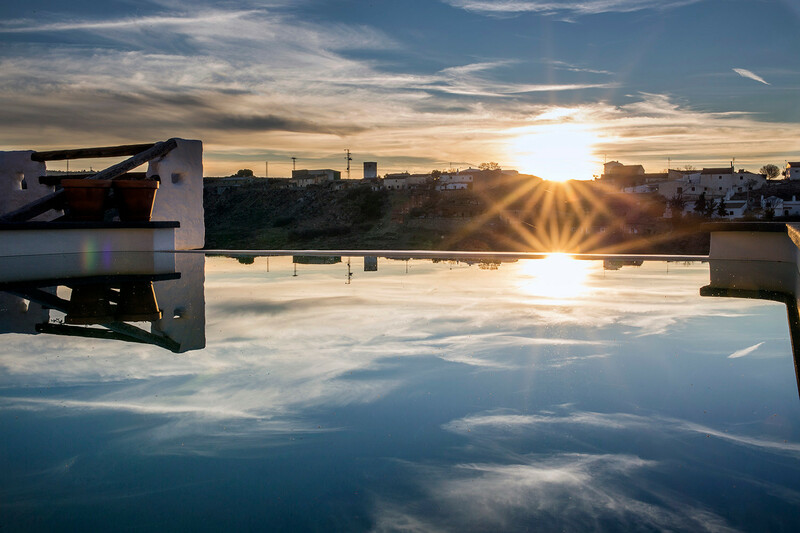 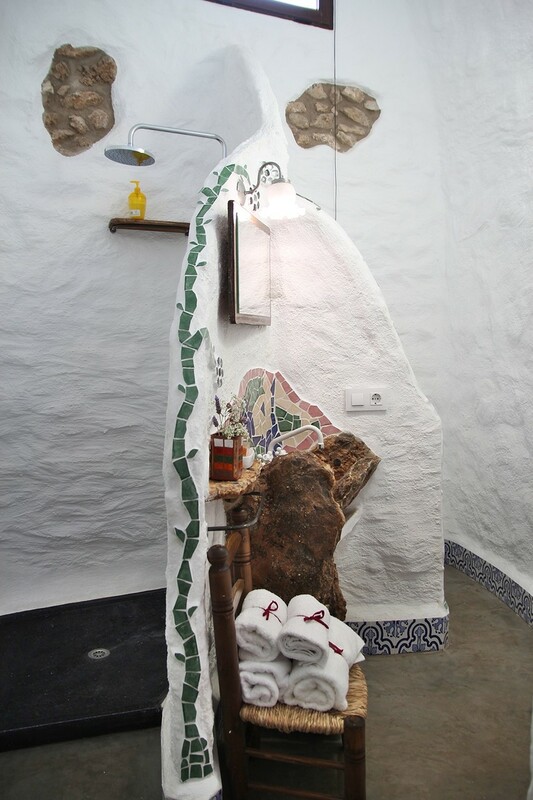 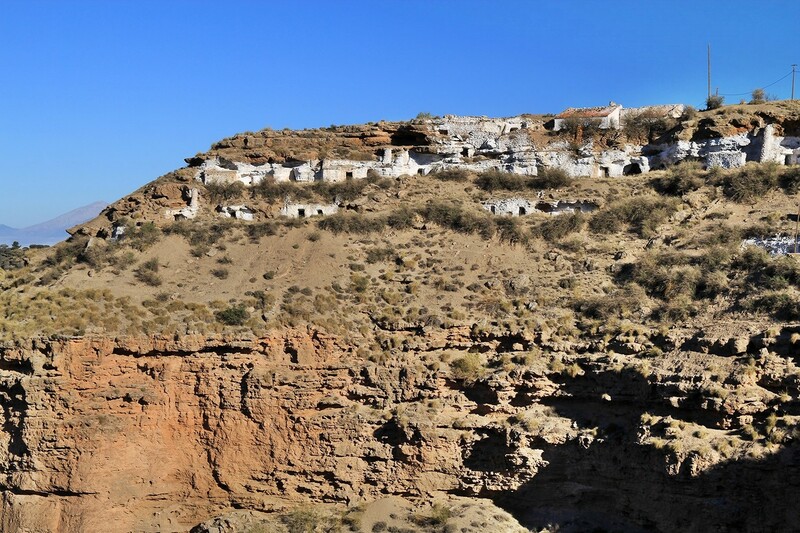 This charming cave is part of a cave complex and is situated in a small ghost town at the edge of an impressive canyon in the region of Guadix. 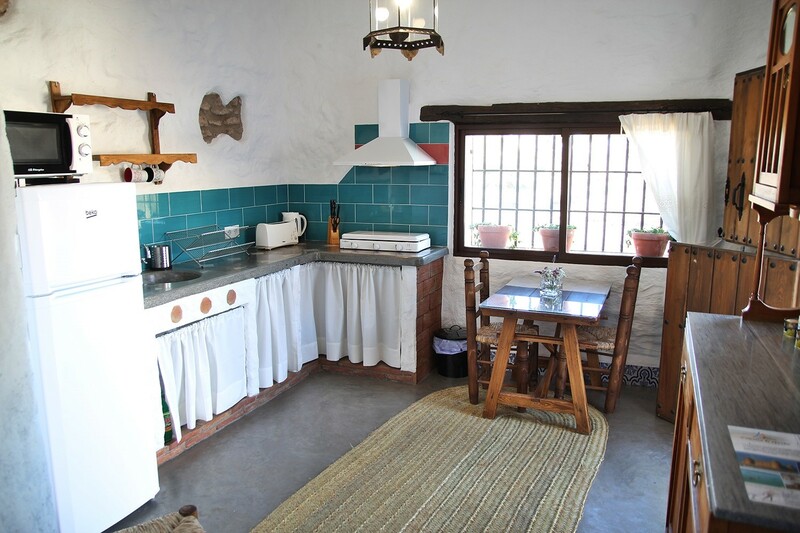 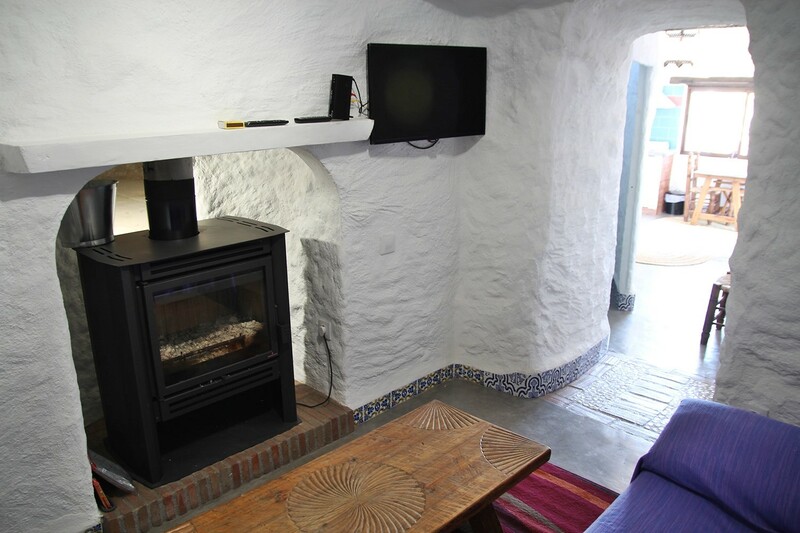 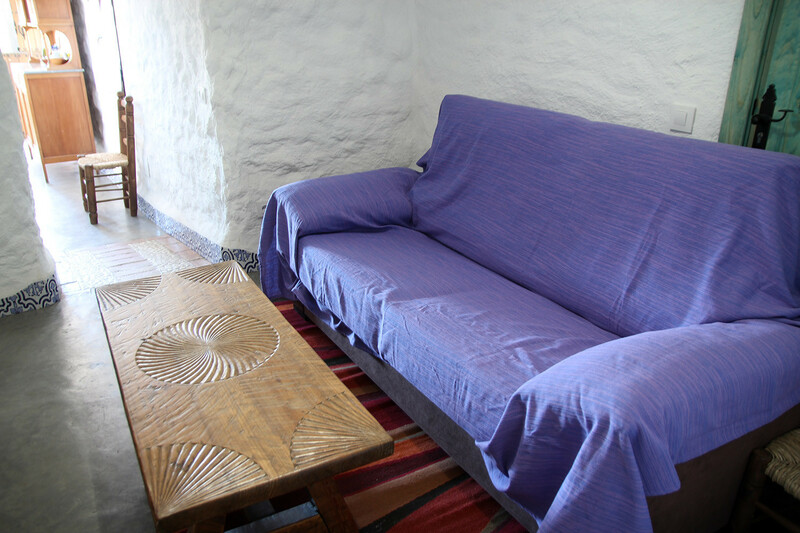 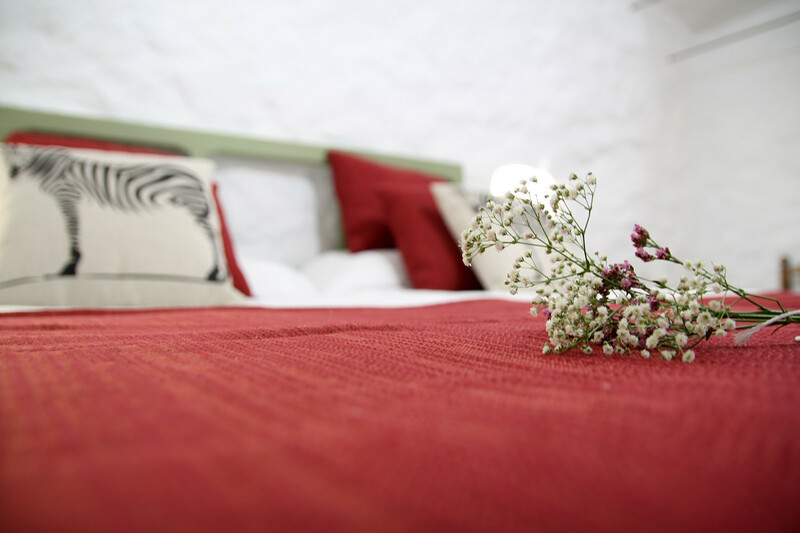 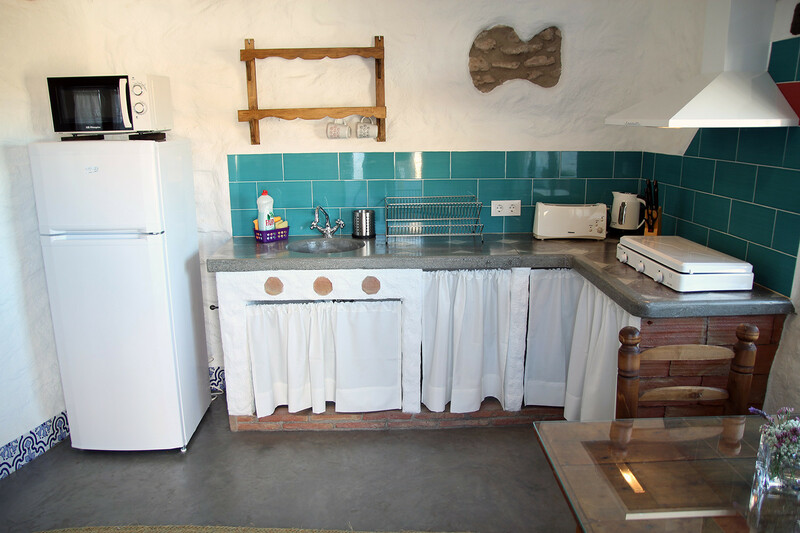 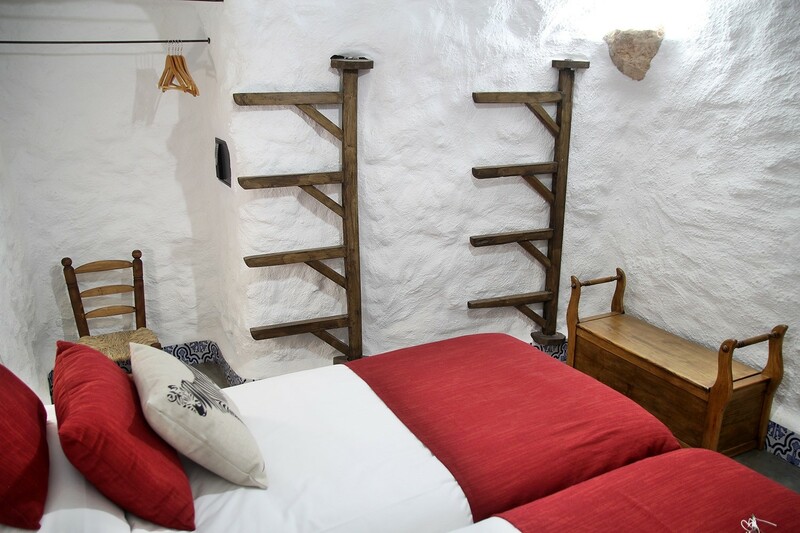 The cave house has a bedroom with two single beds, a living room with a wood burning stove and oven, a kitchen and a bathroom. 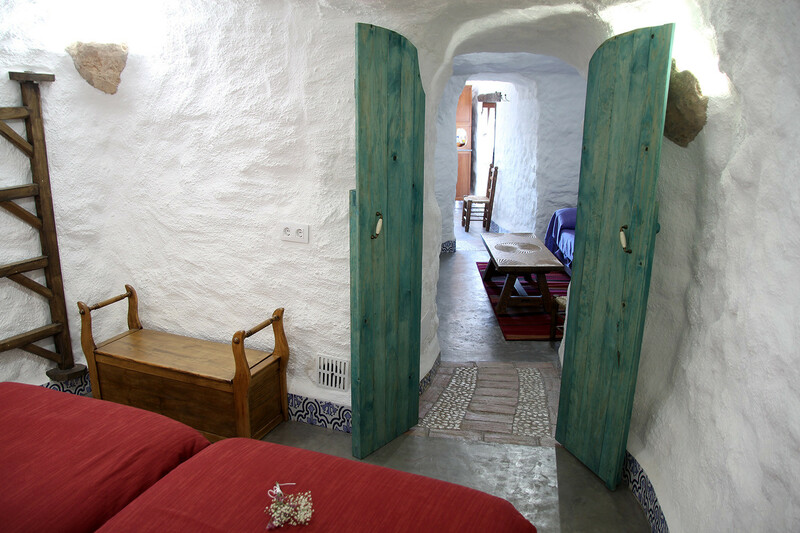 The cave complex is offering in total six cave houses. 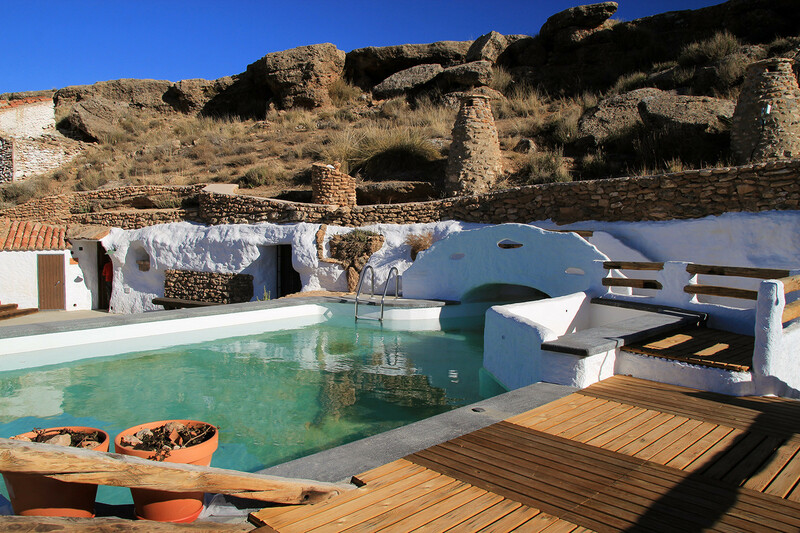 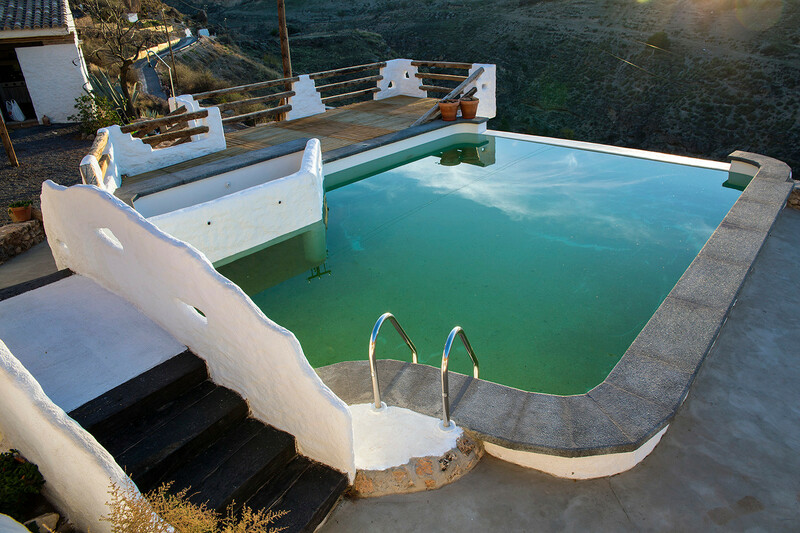 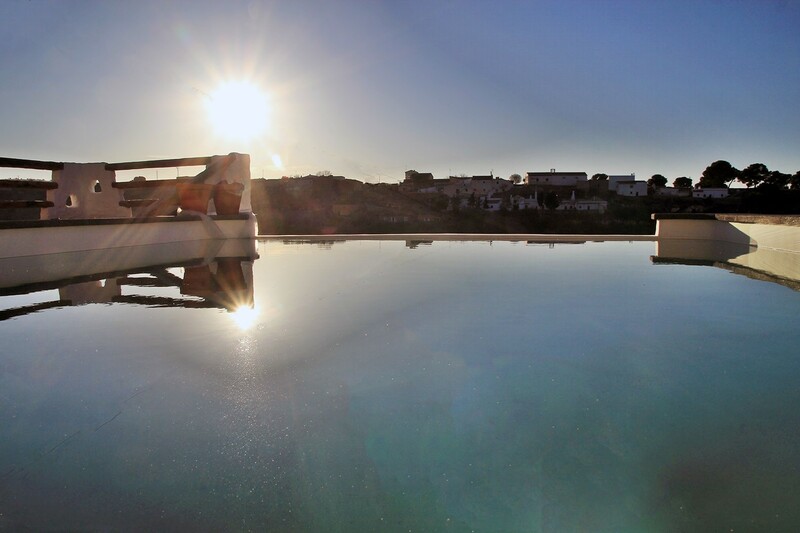 It has a spectacular communal swimming pool of which the water seems to flow into the canyon and at the other side the swimming pool is disappearing into the mountain; into a cave of 8 meters long. 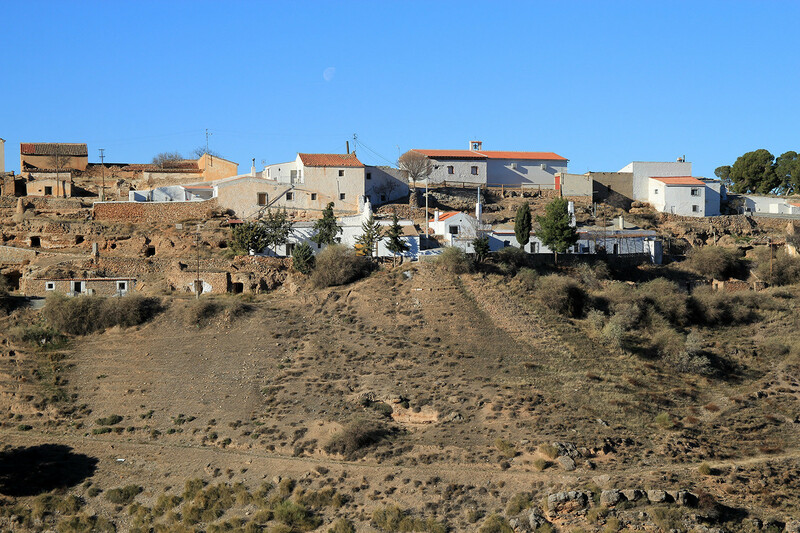 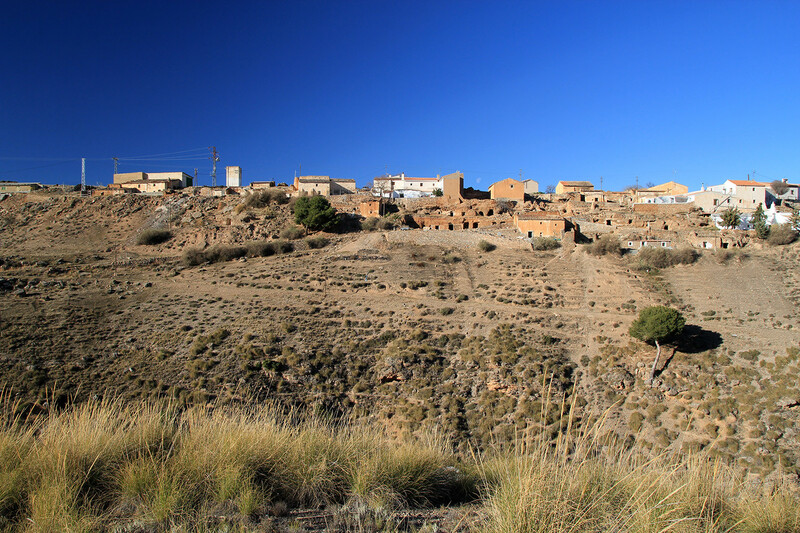 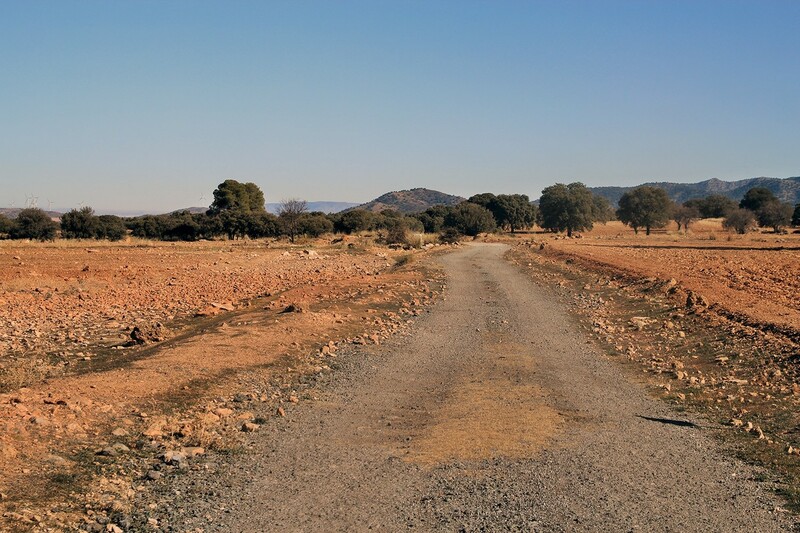 The nearest town, which has all the facilities, is Bácor (11 km) or the city Baza (20 km). 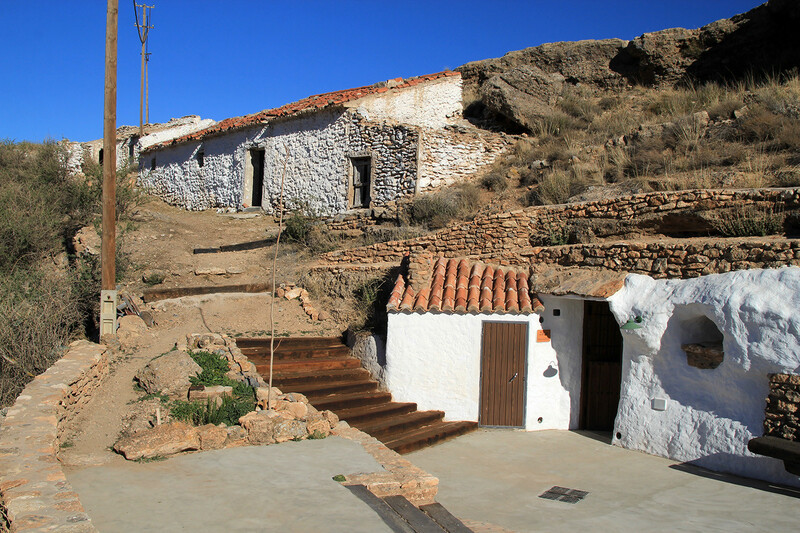 This charming cave is part of a cave complex and is situated in a small ghost town at the edge of an impressive canyon in the region of Guadix. 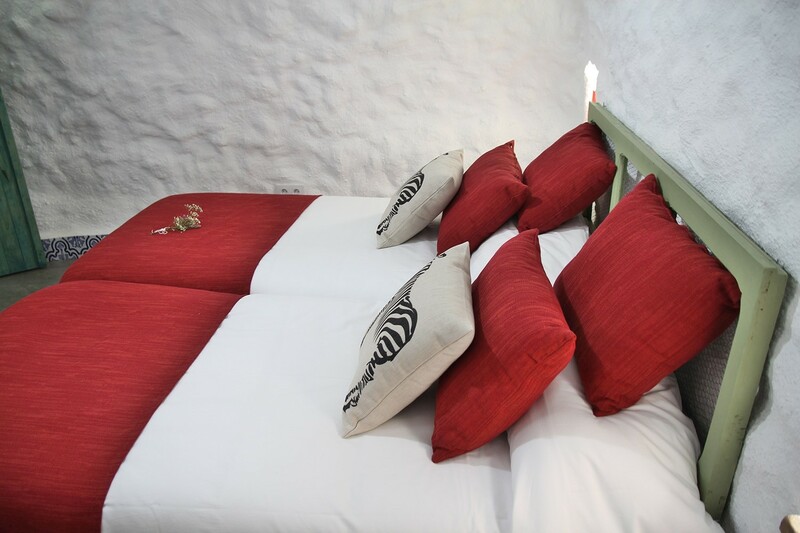 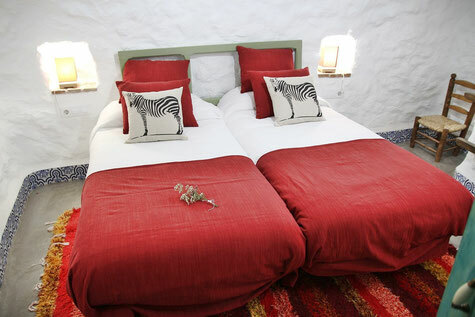 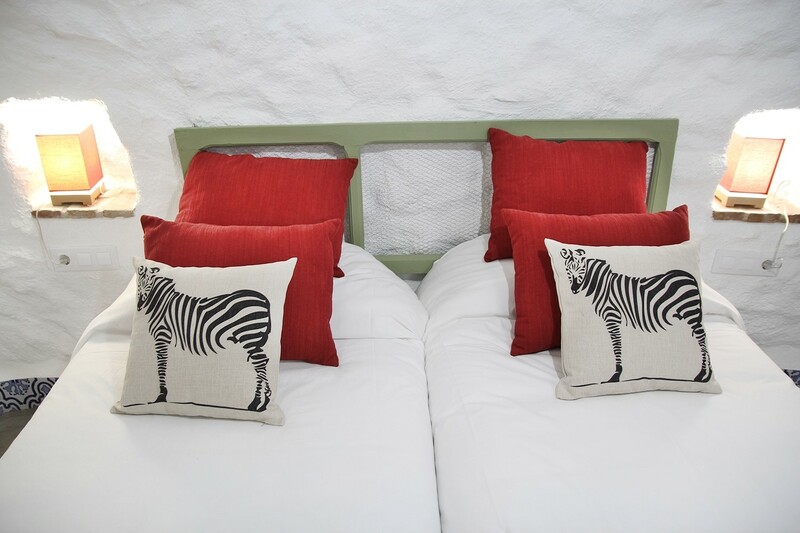 The cave house has a bedroom with two individual beds, a living room with a sofabed and a wood burning stove, a kitchen and a bathroom. 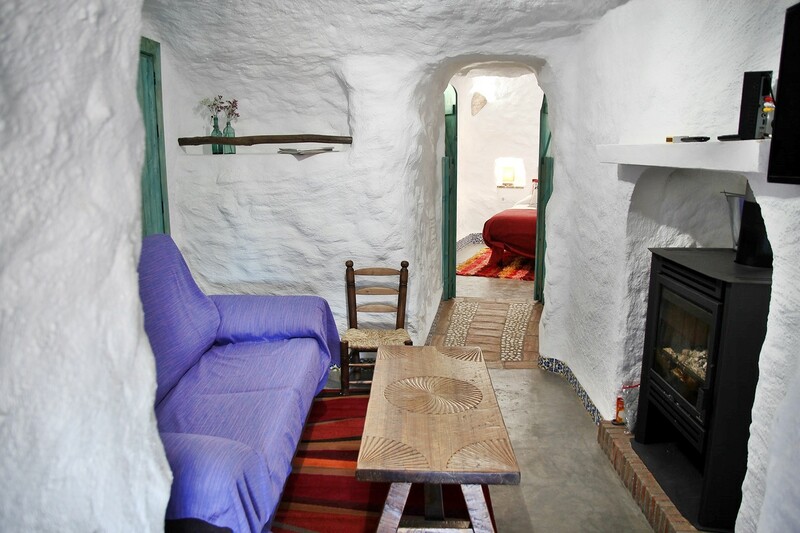 Originally the cave was part of the neighboring cave house 2, constituting both the local bakery, for that reason, they share the same small square. 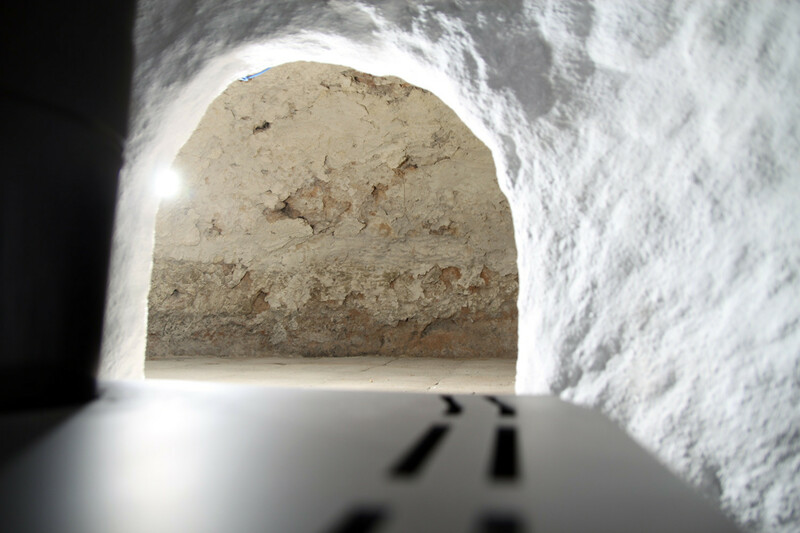 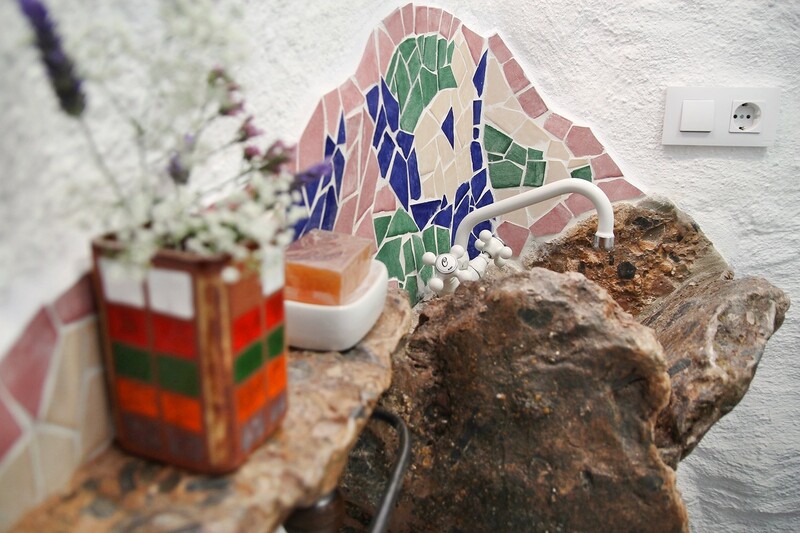 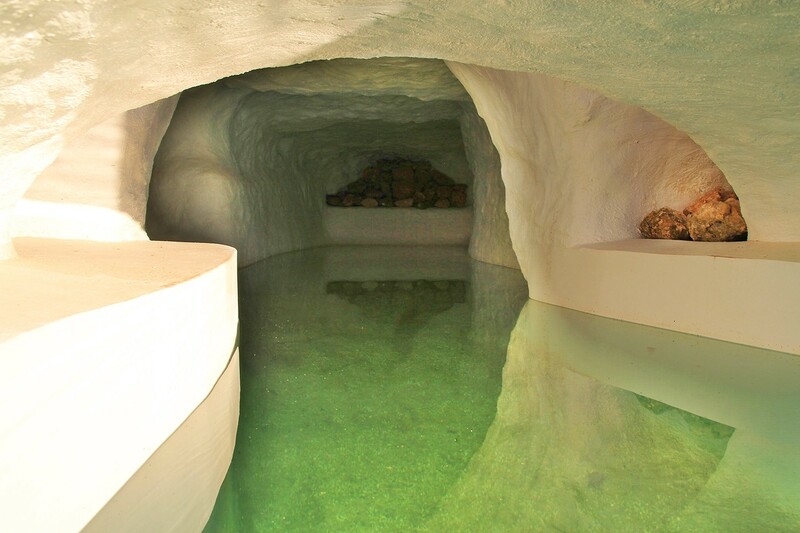 If this cave and cave house 2 are rented together it is possible to communicate internally.